There’s been a lot of interest in Skinny Fiction lately. It’s been popping up on writers’ blog sites all over the world and a lot of people are turning their hand to writing powerful stories packed into tiny word limits of 10, 25 or 100 words. 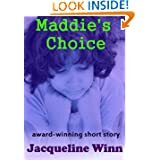 Very short stories are often called Flash Fiction or Short Short Story. Whatever you call it, writing a good story in a small space is never easy. But then, writing a good story in 100,000 words is never easy either. So what’s the difference between writing short and writing long? Is one easier than the other? Is one more satisfying to the reader than the other? When I was in High School, there was a craze for attempting to read Tolstoy’s War and Peace. Not that any of us had any interest in Russian literature, nor were we particularly keen on the history of the Napoleonic Wars. It was just a BIG book. If you could make your way through it, you were considered a legend. I was never one of those legends. After attempting a few chapters and jotting down notes on who was who and what was where, and getting awfully confused, I gave up and went back to John Wyndham’s sci fi instead. At over 500,000 words, War and Peace is still regarded as a challenge by most readers. Though, Marcel Proust’s In Search of Lost Time, at 1,200,000 words, is an even bigger book. I like the little irony in the title, given the number of hours it would take to read it. It’s never been on my reading list because I really can’t afford to lose any time searching for lost time, if that makes sense. My days are short enough as it is. John Steinbeck’s Of Mice and Men is at the other end of the scale as far as word count is concerned. A slim volume, it still stands as one of my favourite books. And when it comes to short stories, Annie Proulx’s 55 Miles from the Gas Pump at only 266 words contains so much in such a little space. I often go back to read it again and again – but not too close to bedtime, still spooks me just thinking about it. Often writers spend too much time worrying about word counts. The writer might try to pad out a story to notch it up into the novel category because a certain publisher doesn’t accept novellas. Or the writer might strip down a story to squeeze it into a literary competition with a tiny word limit. But a story can often suffer when it’s subjected to external fetters like word counts. Of course, editing is always helpful and most stories benefit from a bit of weight loss. Whether novel or short story, my first approach is to cross out everything the reader doesn’t need to know. It’s an old piece of advice and it doesn’t only apply to short stories. Just because I’m writing a novel doesn’t mean I can throw everything inside my head onto the page or show off every scrap of research I’ve undertaken. That’s just lazy writing and every writer needs to hone the story down through multiple drafts. Some of my stories end up a third of their original length and they’re always better for it. The other thing I cull is dead words. These are words that don’t add anything to the sense or sensuality of the story. Words like that are habitual offenders and even the can be thrown out quite often. Other dead words might be adjectives and adverbs that add nothing special to the reader’s understanding or experience of the story. Then there are all those shallow words that can be replaced with something a lot more punchy. Lean and muscular, that’s the kind of story I like to read and that’s the kind of story I try to write. If you’re writing Skinny Fiction, editing needs to be even more intense. When you’re limited to only ten words, you need to make sure each one is supercharged and none are wasting valuable story space. When I start a story, I never know how long it will be. It might turn into a novel or it might be complete as a piece of Skinny Fiction. Some stories need a lot of space to be told and others need only a little space. The trick is knowing when you’ve used too many words and when you’ve used too few. Too many words, the story is likely to become boring. Too few words, the story is likely to become confusing. Either way, you risk the reader tossing it aside. As for which is easier to write, each form has its own demands. With all that luxury of space, it can be difficult to make sure a novel isn’t obese with characters and events that don’t propel the story forward or with background and context that hijack the story altogether. On the other hand, short fiction can be downright anorexic with so little substance the story is forgotten almost the second it’s read. So, long or short? Tolstoy or Annie Proulx? Honestly, there’s no point comparing because every reader will have their own preferences – horses for courses, I reckon. For the writer, the really difficult task is to write a memorable story in whatever space it takes, a story that lives long after the reader has turned the last page.